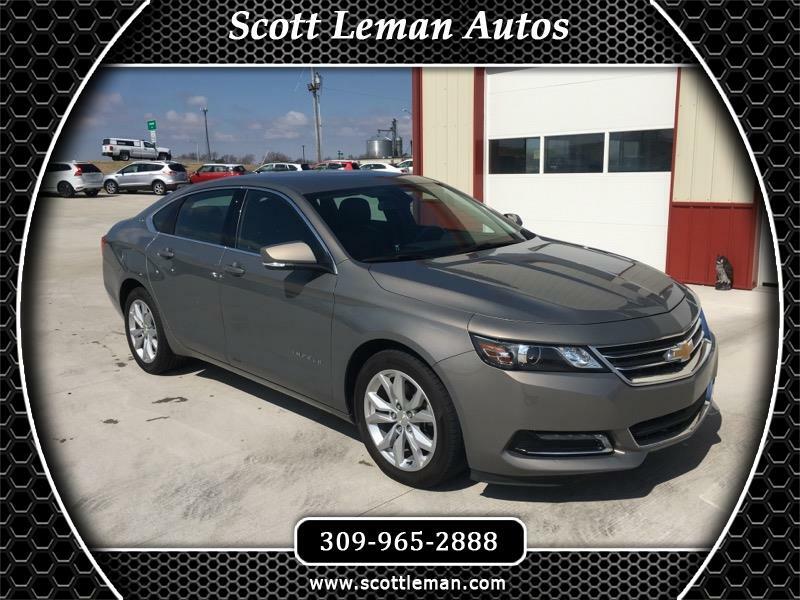 This Impala is a real value, combining excellent gas mileage with great styling. And there is plenty of room for 5 adults and all of your stuff. Enjoy Remote Start, V-6 Efficiency, On Board Wi-Fi and Bluetooth, and the financing benefits of a 2018 vehicle. Plenty of factory warranty remaining. This color is hard to find, and it hides the dirt very well. Scott Leman Autos is located in Goodfield Illinois.